I am really enjoying the Boudoir Eyes collection! I'm a big fan of purple, taupe, and grey- and this palette combines all of those tones. There are 3 completely matte shades, a couple of satin finishes, several shimmery colors and one (the black) with actual sparkle in it. This palette DOES have some similarities to the Too Faced Shadow Bon Bons collection, and when I do a more in-depth review, I'll compare the two. The names are a little risque, but what did you expect? It's the Boudoir Eyes collection! Let's just hope this blog post doesn't get censored for adult content or something LOL! For this look, I used Lap Dance on the lid, French Tickler in the outer corner, Voulez-Vous in the crease, and then I blended that shade out with Sugar Walls... as you can see, the result is a slightly warmer shade than I expected in the upper part of the crease, but I really like it. In The Buff is my highlight under the brow, and under the eye I blended French Tickler and Lap Dance. I did a very pronounced winged liner with Jordana FabuLiner, lined my waterline with black pencil, and used Salon Perfect Demi Wispies false lashes. Stay tuned to the blog & my channel for more info on these new Too Faced products! Oh, and on my lips I'm wearing IT Cosmetics Lip Butter in Darling topped with NYX Glam Gloss Aqua Luxe in VIP. Posted a new video- a review on Wet n Wild's Coverall Foundation & Powder! Sipping on some delicious Powerade Zero- Fruit Punch flavor. Do you ever undo your makeup look toward the end of the day & just re-do it for fun? I sometimes do, and it's really fun if you don't have to go anywhere and just let yourself go wild. It's a good time to play with those super colorful Coastal Scents palettes with a zillion eyeshadows in them. Beautiful look! I play with crazy makeup at the end of the night when I don't have to anywhere too! It's fun to just let go and try new things and experiment! He got you such great gifts! And I love the look - very pretty. Could you please do a tutorial (or guide me to one if you've already done it) on how you do your side bun. It is super cute! This eyeshadow palette is gorgeous! Love this look Em!! Really considering getting that palette, its gorgeous definitely adding it to my wishlist!! ;) I hope you had a great Valentine's Day! You know what I think would be a good idea for a video, Rescuing Beauty Failures. 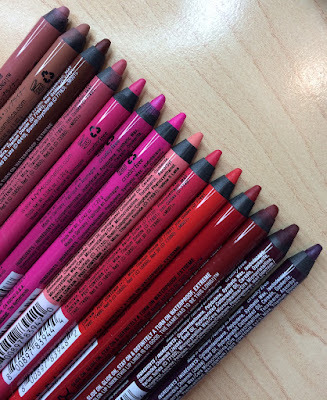 How to rework the eyeliner from messy to smokey, how to use that wild eyeshadow color in a toned down way or how to customize a base that doesn't match your skin tone. Just a thought. Omg I want to see some undo redo looks! Especially fun colorful makeup ones. I hope this is the year you explore Asian BB creams and see what the fuss is about and why western companies are cashing in on their popularity. So far I have tried a sampler pack from Missha that I have been impressed with. If you try them, expect them to go on light and oxidize a little. Love the SPF for daily use. Xoxo to you and Cupcake from Seattle! Oh, I think I'd use this palette up also! Beautiful colors and you pretty much used in your look the ones that I was really eye-ing! And yes, I too sometimes take my day makeup off and then reapply for some fun time! Glad to know I'm not the only one! Lol. Both are on my wish list at sephora! I'm sad about the BB cream. It looked so nice at the store. I will wait for your full review on that one. Emily, can you give us the recipe for those cupcakes! They sound amazing! Hi Emily! I spoke with a representative from TooFaced at Sephora and she suggested using the "bronze-buki" brush from Too Faced to apply the new BB Cream instead of the one it comes with. The bronze-buki looks like a pretty wide stippling brush. Try using a brush like that! The BB looked really airbrushed on her hand when she applied it that way. She also suggested setting it with face powder too. I hope this helps! I like to try eye looks before i shower so of its too crazy or messed up i just get to wash it off soon. V-day is special for my relationship too because its when i put aside my fear of asking a guy out and went for it so now years later we are still together. I love the packaging of this eye palette compared to their usual. Emily i love all your reviews and make up looks..i have learned so many tricks from you.never miss any of your videos! 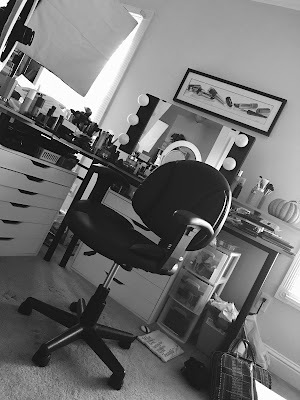 I just found you and Beauty Broadcast and I am so excited! I too am a lover of all.things.beauty. I can't wait to look at some of your older posts and love that you are incorporating videos into your work. This Valentine's Day Gifts post is great...love the eye shadow palette as shadow is a life changer for me. Thanks for sharing...looking forward to visiting you often! Love the look!!! Glad you had a great Valentine's Day! Hi Emily... I know you've been on the look out for a BB cream that actually works. I don't know if you've tried it, but the Smashbox Camera Ready BB Cream seems to do the trick for me. I actually think the Revlon Photoready BB is practically a dupe for it. I feel like it gives me pretty decent coverage that can be buildable if you want it to be. I did a look with it on my blog @ http://weheartourhive.blogspot.com in my 5 product look. Just a hint on your road to finding a BB that actually works! Thanks! Saw new blush from loreal. Looked like the mouse kind from maybelline. Since i couldnt try those i was wondering if you could check the loreal ones out and how they compare. Beautiful swatches! I think I'm going to have to get this eyeshadow palette, based on your glowing review. Thank you so much for the swatches- I always look forward to your blog posts :). I got that bb cream a few weeks ago and it makes my skin really dry looking.. I usually have oily skin so it was weird.. When applying with the brush, it makes it look gross and I found that applying it with a makeup sponge makes it look better. Also with the brush, it looks like you have to clean it after every use because it gets waxy and gross..
Im still experimenting.. Cant wait for a review so I can see how you apply it! good Next off, select Video attachments and after that Mobdro. Mobdro on Kodi or whatever you want, it can provide all those stuff best.